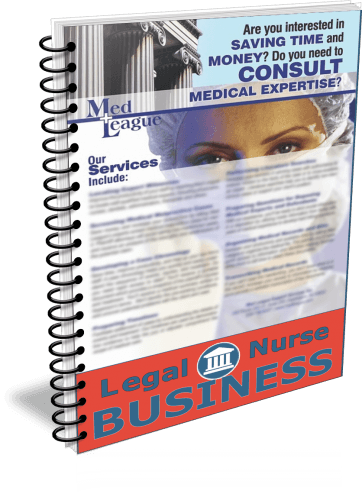 You may be wondering, “What is a one sheet?” A compelling LNC one sheet is a concise marketing tool that you share with attorney prospects. I first heard about one sheets when I began getting involved with the National Speakers Association 10 years ago. Professional speakers use them to get more business. 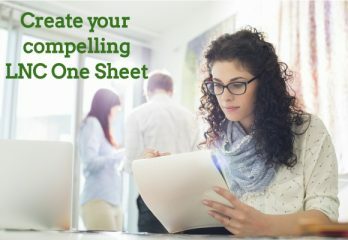 If you are interested in getting more business too, take a look at how you can create compelling LNC one sheets. How do you make compelling LNC one sheets? Don’t confuse a one sheet with a trifold brochure. A one sheet is typically designed to be read like an 8.5 x 11 piece of paper with all information laid out in portrait mode. Usually you use both sides of the paper, do not design it so that it is folded in thirds, and print it in color. Use blocks of text, mixing white blocks with ones with a light, non-distracting background. The boxes can be solid or superimposed on a very light photograph such as an LNC talking to a person who could be an attorney. Are you interested in having an example of a compelling one sheet? See below. As you can see, a one sheet goes way beyond the list of services LNCs typically list on trifolds or websites. You want to stand out from your competition. Have a graphic artist lay out the one sheet for you using the exact colors that are part of your company logo. You want to look professional. This type of document is too important to not have a professional polish. Once you have a generic one sheet, consider creating others to highlight specific services you offer. Carefully proofread your pages and ask another person with a good proofreading eye to review the document before you get it printed. I still have scars from a mistake I made 20 years ago in a phone number on a one sheet. I know I lost business because of that and aggravated the poor man who got calls meant for me. Ask several people, including attorneys, what they think of your draft. The best feedback you’ll get is from the people who would be your prospects. I once ordered 3,000 copies of a trifold that includes the photos and bios of the 2 LNCs who worked with me. One of them resigned her position as the truck was delivering the trifolds. Ouch! Print the minimum number of copies you need. You may want to make changes after you start using it. Revise it often and hand it out as much as you can. INTERESTED IN AN EXAMPLE OF A COMPELLING LNC ONE SHEET? Attorneys can get so much benefit from working with you. You know that, but do they? We promise to do our best to keep your email safe. Get a crystal clear idea of what to include on your one sheet! I look forward to looking the one page example.